Posted on 06/07/2018 at 11:58 am. BPIF Members’ Day was held on the Wednesday 4 July. 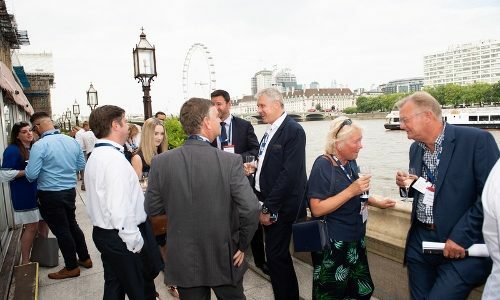 With a dynamic morning conference led by Maverick Planet’s Mark Palmer, a concise AGM and networking on the terrace at the House of Lords for the APPPG, BPIF Members’ Day was jam packed full of inspiration, information and positive interactions. The morning began with a conference hosted by Mark whose main job is facilitating business and strategy change around the globe. He spoke to attendees of how to make successful change happen. Explaining the big secret is that change isn’t the issue, the issue is the inertia and how you remove it. The final event of the day was the All-Party Parliamentary Print Group Reception on the terrace at the House of Lords, hosted by Baroness Donaghy who highlighted the economic importance of print. MP Kevin Hollinrake also explained how ‘government responds to a common voice’ further reason for print to unite as one when speaking with parliament and why groups such as the APPPG are so beneficial for the industry. There were a number of award presentations with Charles Jarrold kicking of proceedings by awarding Robert Davison, Alexir Packaging, with the BPIF Outstanding Contribution Award. Anthony Komedera, The Worshipful Company of Makers of Playing Cards then presented joint winners Agata Labedz, KCS Print, and Sophia Djili, De la Rue, with the Victor Watson Trophy and praised Alice Murray, BCQ Group, on being Highly Commended. Finally Simon Biltcliffe from Webmart awarded Billy Gibbs O’Riordan, Precision Printing, with the Kathy Woodward Award for Learning.